The end of the year is always a busy time for healthcare finance and tax professionals. But with the Dec. 20 passage of the Tax Cuts and Jobs Act—details of which were unveiled only several days earlier—it's crazy busy. Tax professionals are scrambling to understand the complex, often-confusing provisions of the hastily written law while trying to do tax planning for hospitals, medical groups and other healthcare clients. The law's generous new break for pass-through entities is a particular head-scratcher. "My former associates are working 16-hour days to understand the change and roll it out into their tax-planning scenario," said Tina Hogeman, chief financial officer of the Medical Group Management Association. "I'm glad I'm not doing taxes this year." Not-for-profit hospital systems will have to grapple with a number of changes that make their tax-exempt status less advantageous, including new provisions on unrelated business taxable income and executive compensation. In addition, borrowing rates on tax-exempt municipal bonds may rise because the new law's big corporate tax cut may make tax-exempt interest income less attractive to institutional investors, said Richard Gundling, senior vice president of the Healthcare Financial Management Association. "In the past, you've heard for-profit hospital companies complain they're not on equal footing with tax-exempt hospitals," said Monica Coakley, national tax leader for healthcare at KPMG. "This law in some respects turns the tables." But there is pain for for-profits, too. Hospital companies carrying significant debt will have less ability to deduct interest on that debt from their taxable income. They had hoped to preserve the more generous deductions for existing debt, but lost that lobbying battle. Moreover, because President Donald Trump signed the bill in December rather than waiting until after Jan. 1, publicly traded hospital companies will have to adjust their 2017 financial statements due to the sharp reduction in the corporate tax rate, dropping from 35% to 21%, and other changes in the tax law. Like workers everywhere, employees of healthcare companies are likely to inundate human resources offices with questions when they receive their first paychecks in January about why they aren't seeing bigger net earnings resulting from the new law's tax cuts for individuals. But the HR offices will have to wait for the IRS to develop the new payroll tax withholding tables and issue guidance to employers. Here are seven key takeaways about major considerations for hospitals in the new tax law, from an interview with KPMG's Coakley. Tax-exempt hospitals no longer will be able to offset income from unrelated business activities such as cafeteria earnings with losses from other unrelated business activities. They may want to consider spinning off some entities as separate taxable corporations. That, however, could draw increased scrutiny from state and local officials who might question whether the hospital is still functioning as not-for-profit charitable organization and deserves tax-exempt status. 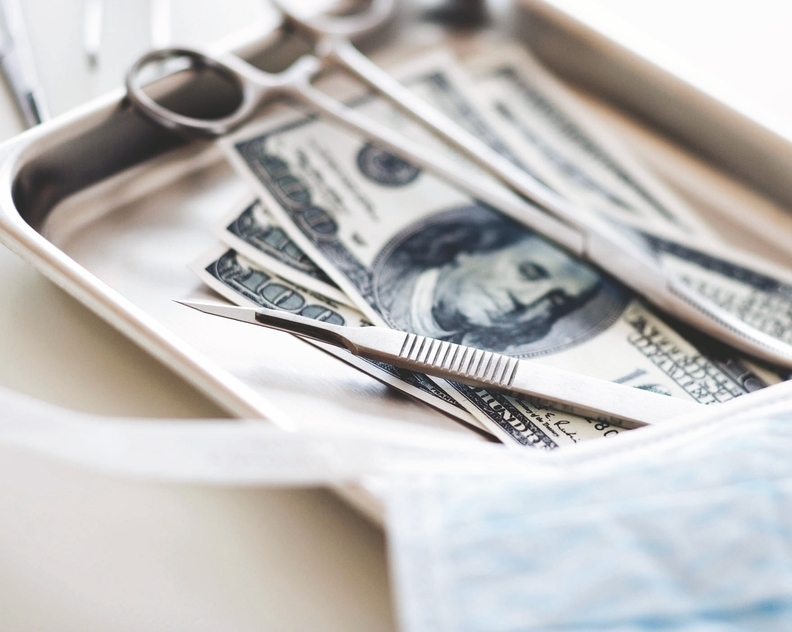 Tax-exempt hospital systems will be liable for a new 21% excise tax on compensation exceeding $1 million paid to its five highest-paid employees. Some large systems with multiple tax-exempt legal entities could have to pay the tax on the highest-paid employees in each entity, totaling more than five across the entire organization. They may want to consider revising their legal entity structure to reduce the number of their tax-exempt entities subject to excise tax law. The new excise tax on high-earning employees does not apply to compensation for the direct provision of medical services. Some physicians receiving compensation over $1 million are paid for both management and medical provider roles. Not-for-profit hospitals will need to break out how much of the compensation is for medical services versus management in order to reduce or avoid paying the excise tax. All hospital systems now have more limited ability to deduct False Claims Act settlements, which are common in healthcare. For a portion to be deductible, hospital attorneys have to write that specification into any settlements or court orders. For-profit healthcare corporations' ability to deduct interest payments would be capped at 30% of adjusted taxable income starting in 2018. Existing debt is not grandfathered under the previous, more generous deduction rules, as the for-profit sector had requested. So companies may need to consider whether to take action to reduce their existing debt load. Publicly traded hospital companies will have to take the tax law changes into account for their 2017 financial statements for changes such as a reduced value of deferred tax assets, such as net operating losses. That's due to the lower corporate tax rate going forward. The Securities and Exchange Commission recently said companies can make reasonable estimates in their statements of the impact of the new tax law, and will be given additional time to come up with final numbers. Because the new law repeals the tax penalty for Americans who do not obtain health insurance, it's projected that millions more people will be uninsured, leading to an increase in uncompensated care. Hospitals may want to consider tightening their financial assistance policies to limit or exclude assistance for patients who qualify for subsidized Affordable Care Act, Medicaid or other coverage but choose to forgo it. "Health systems prepared their financial assistance policies based on the understanding that most people who qualify for (subsidized) insurance would be obtaining it," Coakley said. "Now with the mandate penalty being repealed, they may want to revisit those policies and trim back assistance." An edited version of this story can also be found in Modern Healthcare's Jan. 8 print edition.